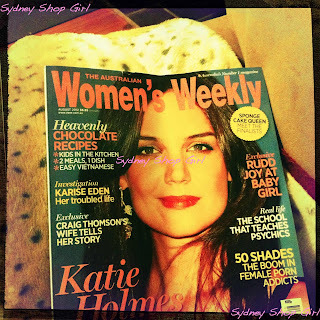 Sydney Shop Girl: Coooookkkkkiiiiieeeee - Part 1. There are some Wednesdays when it's not enough to merely leave the house enveloped in a cloud of fragrance from a hot shower with some of Jo Malone's Pomegranate Noir shower gel. Indeed, to be truly prepared for whatever the day has to offer, you need to go to work armed with a baked good of some description. Which for me was this Baked Oreo Cheesecake (linking to a very entertaining blog post with the recipe featured) which I made last night. What could possibly go wrong or more accurately, what can't be made right at work when you know you've got cheesecake to eat for afternoon tea? Successfully removing my precious cheesecake from its springform tin this morning put a smile on my face and a spring in my accelerator foot as I braced myself for the drive to work. 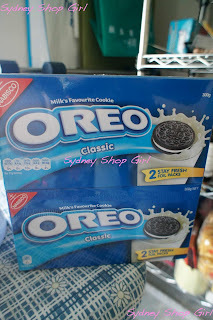 The whole Oreo obsession started (as all potentially catastrophic food ideas do) at Costco one weekend. 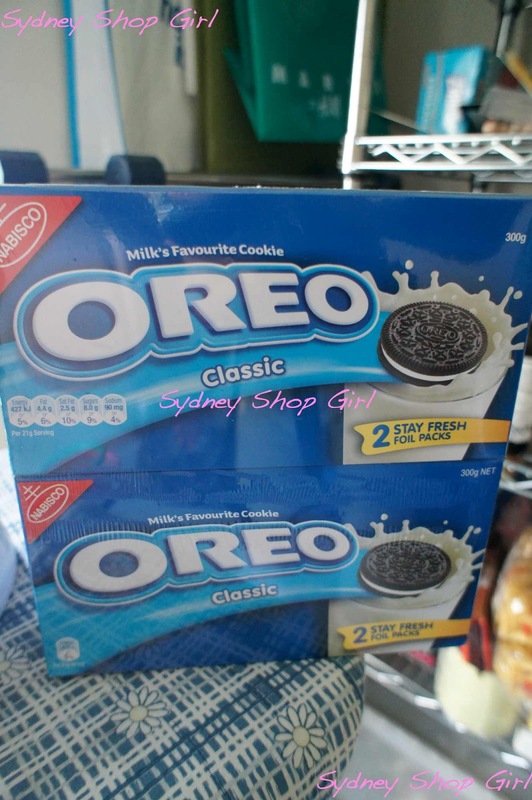 There was a crazy deal on multi packed boxes of Oreos where $7 could buy you 1.2 kg of the cream filled cookies. It was an offer too good to refuse so naturally, the Oreos found their way into our trolley and into my imagination. Then I had a 'What Would the Cookie Monster Do' (WWTCMD) moment and decided that I wouldn't just eat my way through my stash, I'd bake with them and drop the 'coooooookkkkkiiiiieeeeeee' word as often as I could in the process - out loud and in the captions for this blog post. Small things. 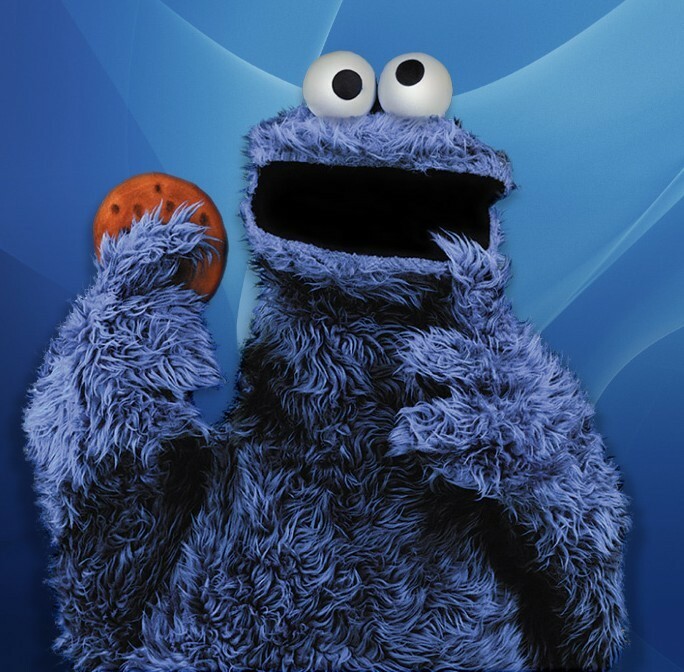 As I gathered the ingredients together for the cheesecake, I looked down at my stomach under its layer of blue polar fleece and thought that perhaps it wasn't such a crazy thing to be making like the Cookie Monster since I do kind of look like him at the moment. Just from the waist down, mind you. Evening baking on a weeknight is always helped along with a cup of tea and working with crushed biscuits goes well with a cup of tea as well. 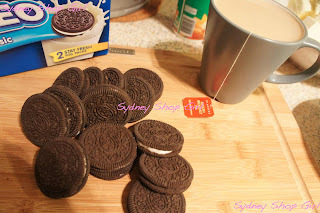 Because I had such a huge reserve of Oreos, it didn't really matter that one or two (or three) disappeared with that cup of English Breakfast. 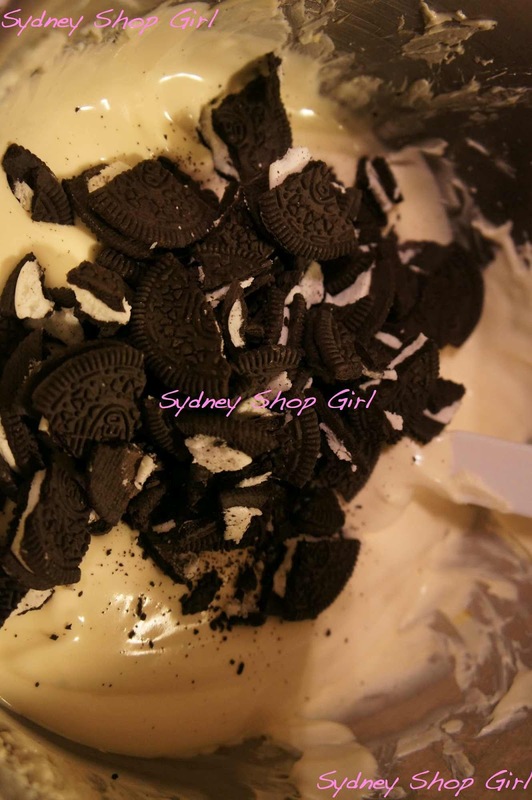 The cookies above were hand crushed to be stirred through the cream cheese layer. 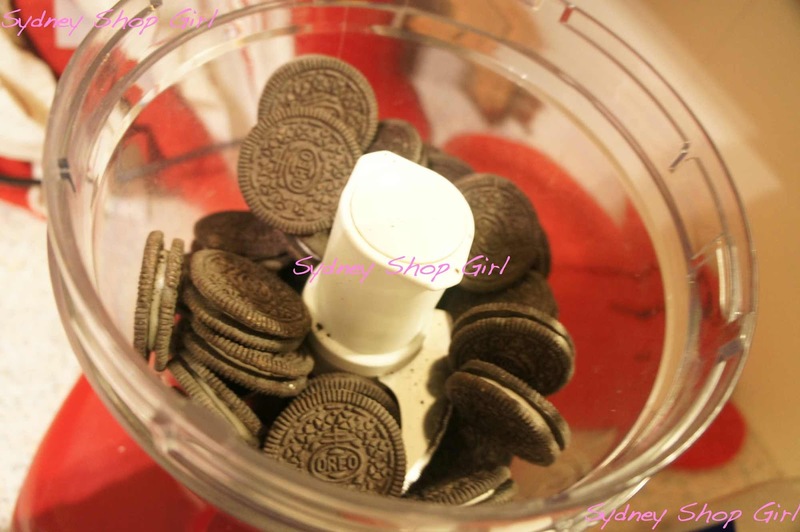 Call it a combination of a sugar rush and the kitchen being wall to wall Oreos, but I lost count of exactly how many were meant to go into the food processor to make the base, so I think a whole foil packet of 13 went in. Crushed cooookkkkkiiiieeeesss and melted butter looking a bit like that fancy dessert gravel all those fancy restaurants are advocating these days. 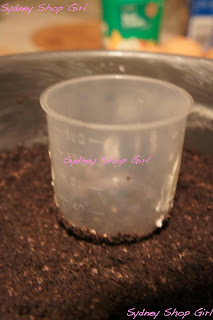 I mixed the crumbs with 60g of melted butter and placed the mixture into the base of a 23cm round Anolon springform tin. I greased the sides and placed a layer of baking paper through the base if that makes sense. To try and keep things as water tight as possible. To approximate some kind of evenness to the biscuit base, I used a measuring cup to compact the rice as much as I could. You definitely need at least 900g of cream cheese to do a 23cm cake tin justice. 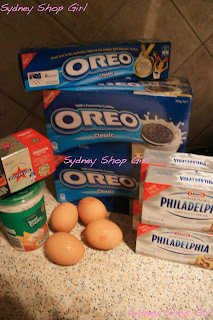 I ended up using the full 4 packets or 1 kilo of full fat Philly. It does pay to dice it and blitz on high in your microwave in 10 second blasts so that it's softened and will mix more easily in your stand mixer. I used half a container of sour cream which is a little more than the recipe calls for. With regards to the eggs, I followed the advice of the blogger who posted the recipe and used 3 eggs rather than 4. I don't know which of these factors were responsible for my cheesecake looking 'whiter' than the blogger's but all of the above seemed to work for me and the cake had a wonderful consistency. I did add 3/4 of a cup of caster sugar rather than the 1/2 cup suggested. Other than those modifications (and losing count of the Oreos), I didn't change a thing. It's probably sacrilege using Le Creuset to water bath a cheesecake but when there's coooookkkkiiiieees involved, only the best will do. If you're a novice baked cheesecake maker like myself, I thoroughly recommend going the extra mile and covering your tin with a couple of layers of alfoil before immersing it in your water bath. Despite being a little browned on the top, I didn't get any cracks in the top of my cheesecake and it was very moist. Also, trying to waterproof the cake tin ensured that the biscuit base didn't get soggy. Well. 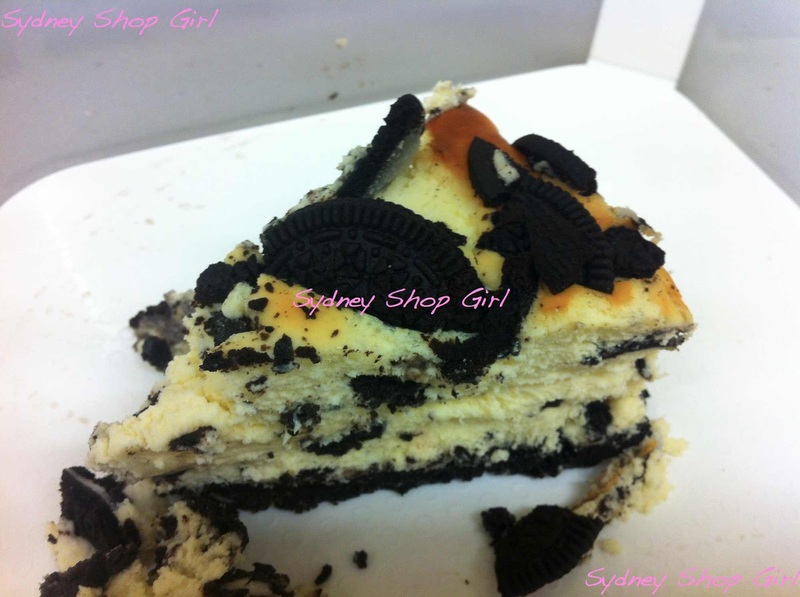 The cheesecake was very well received at work today. The occasion was my colleague's baby shower and if a crowd as varied as 2 pregnant women as well as men and women of all ages thought it was good cheesecake then it was GOOD Cheesecake. It was all sorts of drama for everyone at work today but at least we got to sit around for a few minutes and silently inhale baked goods before returning to the war zone somewhat galvanised. I did have to squirrel away this piece for Mr SSG though because he was trying to persuade me to either take it to work minus his slice or else find an odd shaped cake tin 'with a side bit for me' to bake it in. Mr SSG's mind works in strange ways sometimes but he got his cheesecake in the end. So that was how a cheesecake saved my day. I'm off to enjoy my first subscription issue of the AWW. 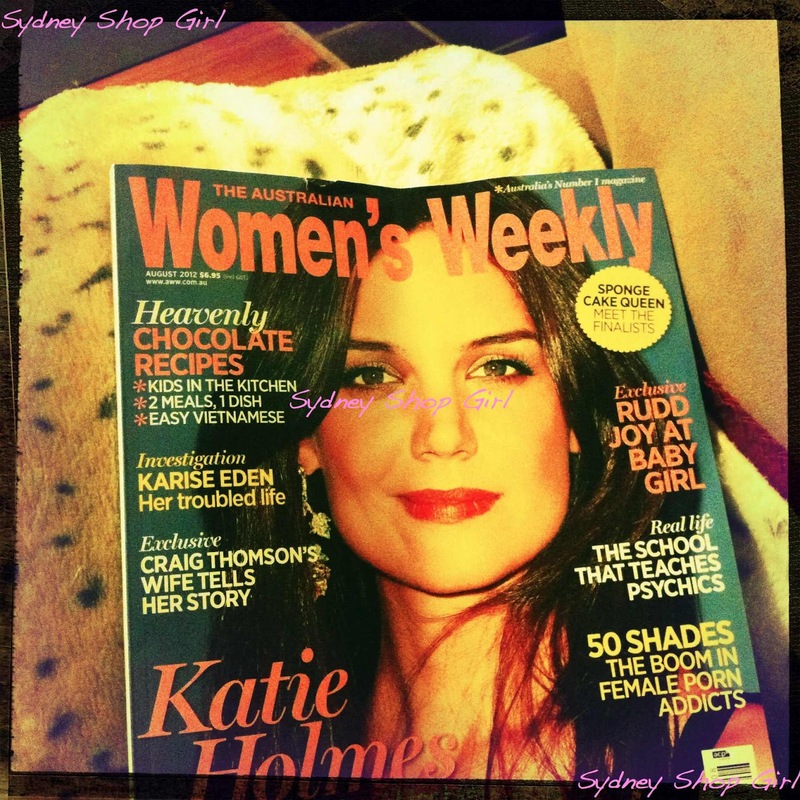 With a bronzed Katie H on the cover and the latest insights into the highs (KRudd is a grand dad) and the lows (Craig Thomson) of the ALP. Where would be knowledge of our political landscape be without you, AWW? 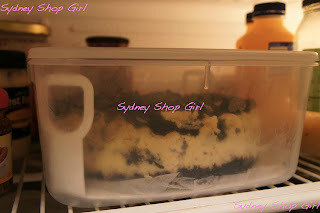 I often make a baked cheesecake but have never lined the tin (does it come out easily? Does it leave wrinkly bits?) or put it in water. Learn something new every day. That cheesecake looks like it could save my day any time!!! Hope you're doing well L!!! Dude! That cheesecake look like a heck of a lot of fun. So glad Mr SSG got a slice. I would've forgotten, felt terrible about it and probably made a whole new one that then would've been lurking around my house... You know. Alrighteo you've sold me! 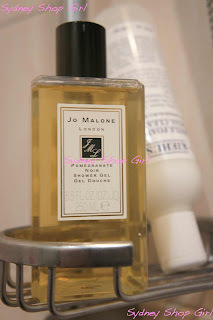 I'm going to try to get my hands on those Oreo bulk size packs and going to try out Jo Malone's pomegranate shower gel! 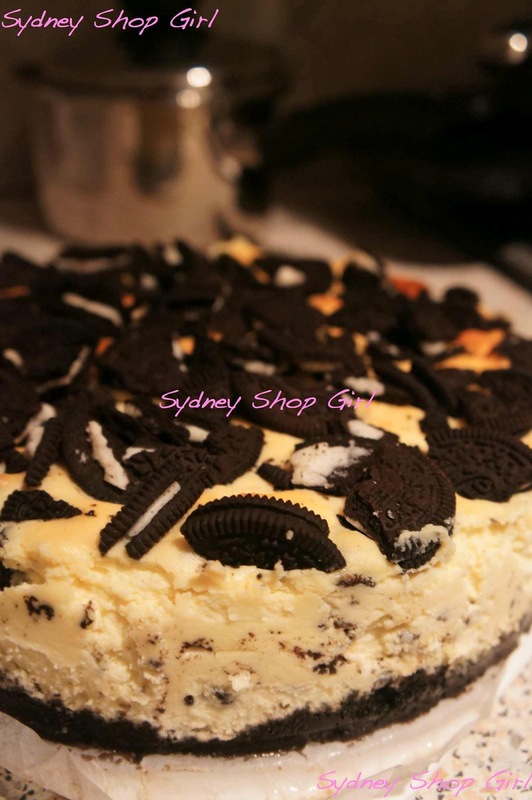 Wow that cheesecake looks amazing! I am coeliac but eating a slice of that would be worth the gluten induced suffering after! Mmmm, looks delicious. I'm so impressed at your lack of cracks, baked cheesecake and I have a craggy relationship. This one looks very worth trying.